Han F. de Wit argues that spiritual tradition can be viewed as its own school of psychology. As such, it offers more effective techniques and profound goals than the “ordinary unhappiness” aspired to by conventional psychology. Why is it that some people become wiser and gentler during their lifetimes, while others become more hard-hearted and shortsighted to the needs of others? Why do some people develop the ability to cope with suffering, while others fall apart? And what is it that causes some people to experience an increasing measure of joy in their lives, while others become more anxious and fearful? These questions are central to contemplative psychology. They concern an inner flourishing—sometimes willed, sometimes not—that occurs in the depth of our being. Whether it is present or absent can determine our attitude toward life. Although this flourishing occurs, in a certain sense, in the hidden depths of our heart, it is not something abstract and detached from our lives: this inner flourishing manifests in how we live our everyday life. Its fruit is visible in the specific way in which we relate to our environment, our fellow beings and ourselves—a way that deepens and elevates our own lives as well as those of others. We all know people who, at moments or perhaps continually, radiate something—a certain warmth, an unconditional interest in their surroundings, a clarity of mind that is catching and inspiring. This is not necessarily because their situation in life provides them with a special opportunity or because these people are especially fond of us. Rather, these qualities appear to belong to their very nature. Furthermore, all of us experience moments in our lives which like a flood wash away our self-centeredness. These are moments of liberation that reveal new possibilities. Faced with a crisis, people often “rise above themselves”: they abandon concern for their own private projects and ambitions and act from a much broader perspective. At such moments people experience freedom, strength and even joy, in a very fundamental sense. This is why, even in the most difficult of circumstances, they are able to encourage and inspire those around them. We sometimes have the tendency to view people who act from this broader perspective as special and far above us spiritually, as people who possess a spiritual power that is beyond our reach. But the spiritual power and joy in life we recognize in them is not essentially alien to us. We ourselves also have moments when our attitude to life is like this—moments when our fundamental humanity is awakened and manifests itself. The inner flourishing of which I speak concerns the uncovering of this fundamental humanity. The term “fundamental humanity,” or “humaneness” for short, may sound quite pompous or theoretical, if not somewhat moralistic, but I use this term to refer to a very concrete and familiar experience. Let us take a closer look at humaneness and how it is visible in our own lives. Because fundamental humanity manifests itself under circumstances of both prosperity and adversity, there is no single way to describe its qualities. In times of personal adversity, it takes the form of courage. Confronted with the adversities of others, it manifests itself as compassion. In times of personal prosperity or in viewing the prosperity of others, it manifests itself as taking joy in life. In addition to these three forms, there is a fourth, clarity of mind. This clarity allows us to be realistic in our view of the world and ourselves. It is not so much an intellectual clarity; rather it resembles the inquisitiveness, sensitivity and interest that we can see in healthy young children. Yet age has little to do with it. This clarity is the universal human capacity and desire to learn, to see, to be aware. In moments when we experience our humaneness we feel that we are “at our best”—not in the sense that we could make a top-notch job of something or that we feel happy, but rather in the sense that we feel that we have been born fully equipped for human life in all of its prosperity and adversity. At such moments we realize that we are born first and foremost as human beings, and not as “John” or “Mary.” Experiencing our humaneness lifts us above individual identity and brings us closer to ourselves simply as human beings. In a certain sense such moments go beyond, or lie hidden under, the satisfaction or frustration of our desires. It is as if the rich soil of genuine humaneness exists within us independent of our desires. We are aware of this soil sometimes in prosperous circumstances and sometimes in adverse circumstances. Yet more often, it does not manifest itself at all. Why is this? When we are born we know nothing. We are naive, in a certain sense; our existence is veiled in darkness, unarticulated. There are no instructions for life lying beside our cradle. But small and helpless as we are, we are not out of the game: from the very first we have an open, unconditional interest in and devotion to the world of phenomena. We are, apparently, born this way. But look: with some people, this unconditional zest for life manifests increasingly in their lives, while for others it seems to disappear as they grow older. Even over the course of our lives there are periods in which it manifests itself in a greater or lesser degree. Why this happens is one of the central questions that contemplative psychology addresses. Let me give a broad indication of the answer to this question by contrasting one of the four aspects of humaneness, joy in life, with the notion of satisfaction. Joy in life is a state of mind directed toward our life in its totality, and not toward certain circumstances. In contrast, there is a conditional form of joy called satisfaction, which we experience when we succeed in satisfying our needs and desires. Ordinarily we use the word “happiness” to refer to this satisfaction of our desires, and we can lose this kind of happiness, just as we can lose material possessions. Viewing happiness in terms of satisfaction can be called a materialistic view of happiness, and this view is the soil for a life dominated by anxiety, by hope for gain and fear of loss. Then there is a spiritual view of happiness, understood as joy in life—the profound, unconditional quality of being in touch with one’s humaneness. When we live joyfully from the perspective of our humaneness, then the other three qualities—compassion, courage and clarity of mind—also manifest themselves freely and unconditionally. Whenever suffering appears we quickly jump to someone’s aid. Whenever we meet with confusion or fear, our humaneness manifests as clarity of mind and courage. We do these things not because it is some sort of duty, but because we cannot do otherwise. The desire to realize our humaneness fully is the basis of the spiritual traditions. It is precisely in the great spiritual traditions that we find all kinds of psychological insights into our humaneness and disciplines through which it can be cultivated. In fact, the spiritual traditions contain a psychology in their own right, a contemplative psychology very different from our conventional Western psychology. This psychology has as its main objective to discover the dynamics that make our humaneness flourish or wilt. For that purpose, it looks at our human mind and designs ways to cultivate it. The assumption of contemplative psychology is that human beings have a certain degree of freedom to shape their own minds. 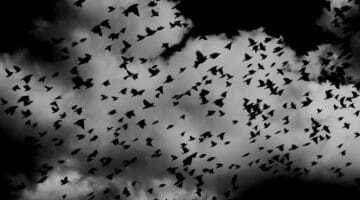 They have the freedom to imprison themselves within a state of mind, and the freedom to liberate themselves from it. And because our mind determines what we say and do, the way this freedom is used manifests in our actions and speech, which in turn is felt in our personal lives and our society. When this freedom is continuously used to form certain egocentric habits, they become rigid patterns, difficult to change. Not only individuals but entire cultures can become so convinced of the inevitability of the formed patterns that they view them as absolute. When this happens they become part of our very concept of humanity: “That’s how human beings are.” This influences the way in which people raise their children, thus closing the circle. Within this vicious cycle it is very difficult to unravel what is the cause and what is the result. Spiritual traditions are concerned with identifying and letting go of the mental habits or patterns that obscure the manifestation of our buddhanature, the working of the Holy Spirit in our heart, or whatever the particular tradition calls it. In the terminology of contemplative psychology, the spiritual path is directed toward opening a mental space in which our humaneness can flourish. Why can the spiritual traditions be of so much more benefit to us than conventional Western psychology? It is because their psychology has an eye for the basic plasticity, or freedom, of the human mind. Traveling on the spiritual path involves working with this plasticity, molding the mind by means of spiritual disciplines. In fact, it is because of this plasticity that something like a spiritual path exists. In analyzing the enormous wealth of spiritual disciplines and methods, contemplative psychology draws on a classic spiritual division: the disciplines of mind, the disciplines of speech, and the disciplines of action. The mental disciplines are naturally concerned with cultivating insight into the nature of our mind. They are par excellence directed at the cultivation of inner flourishing by exploring our attitude toward life and allowing us to connect with our humaneness. The disciplines of speech and action are then directed at manifesting our humaneness through the cultivation of a decent, caring way of relating to our fellow human beings and our environment. 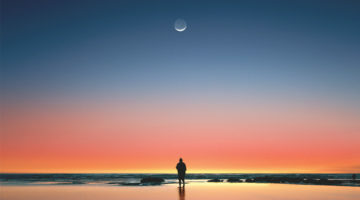 Within the range of the mental disciplines, contemplative psychology distinguishes two main groups: the disciplines of thought and the disciplines of consciousness. Simply put, we can think about our perceptions and we can perceive our thoughts. The disciplines of thought work with the creation and use of mental content—concepts, ideas, theories, representations, images and symbols. So the term “thought” has a very broad meaning here. Some of these disciplines are specifically directed at enlarging our intellectual understanding of the spiritual path, our mind and experience. This is like studying the road map. Other disciplines of thought make use of our power of imagination. They offer us mental images that can evoke a different, more humane way of experiencing reality. The systematic use of our intellect and of our imagination are, psychologically speaking, two very different disciplines. So the disciplines of thought can be divided into the intellectual disciplines and the disciplines of the imagination. Of these, the intellectual disciplines are the best known. Since ancient times they have been considered very important and have been widely used in the spiritual traditions. The strength of the intellectual disciplines is that they are very communicable, for they work with language and concepts. The disciplines of imagination are less familiar to us. Although we make representations of everything and anything in everyday life, our culture—with the exception of a few modern cognitive psychotherapies—hardly values the systematic use of the imagination as a means of transforming our experience of reality. The disciplines of imagination amount simply to the replacement of unwholesome images by images that have a beneficial experiential value. In general terms, they work with images that are at odds with our conventional egocentric mode of experiencing reality. Even though these are nothing more than images in our stream of thought, they can open our eyes to the qualities of our own fundamental humaneness. In fact, these images derive their effectiveness from being the expression of our fundamental humaneness, just as our conventional images derive their power from being representations of an egocentric mind. The visualization practices of vajrayana Buddhism are a good example of this discipline. It is striking that the disciplines of consciousness are found in almost all spiritual traditions, and that the reasons given for practicing these disciplines are almost identical. The first reason is that our minds are so scattered and fragmented. The second important reason is that our mind has the tendency to lose itself in a self-created and egocentric mental world that prevents us from seeing phenomena as they actually are. We are caught up in a consciousness that can no longer distinguish completely between illusion and reality. Thus we live in a hazy, imaginary reality and suffer from that. The disciplines of consciousness allow us, first, to overcome our mental agitation, and second, to see clearly the nature of our mind and experience. Because of this double purpose, the disciplines of consciousness are divided into the disciplines of mindfulness and the disciplines of insight. The disciplines of mindfulness are mainly preparatory exercises for the disciplines of insight. A familiar metaphor for the agitation of our mind is that of a wild horse. The horse seems free to come and go as it pleases, but precisely because it is wild, it is extraordinarily skittish: it takes only the flutter of a leaf to send it rushing off. This is the way our mind is when it is captured by the egocentric conception of reality: it only takes one ego-threatening thought to make it bolt. The mind is too high-strung, too vulnerable to unrest, to give itself the time to take a good look around. Because of this, we are not fully conscious of our actual situation; we are “absent,” not completely there. As many traditions put it, we are asleep, not awake. The purpose of the disciplines of mindfulness is to do something about this absent-mindedness. To this end, we practice focusing our attention on one point. The discipline of mindfulness is simply a way to do this systematically. 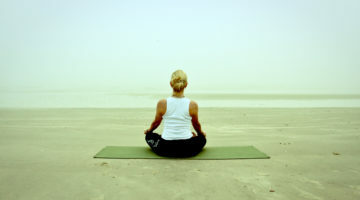 In many traditions, it takes the form of sitting meditation: we sit erect in quiet surroundings on a chair or a meditation cushion and focus our attention on, for example, our breathing. When we notice that our attention has got caught up in the content of our stream of thoughts, we turn our attention again to our breathing, the focal point for our mindfulness. How is it that we are able to bring our mindfulness back to its focal point at all? The human mind is apparently shaped in such a way that moments naturally occur when we notice that we have been caught. 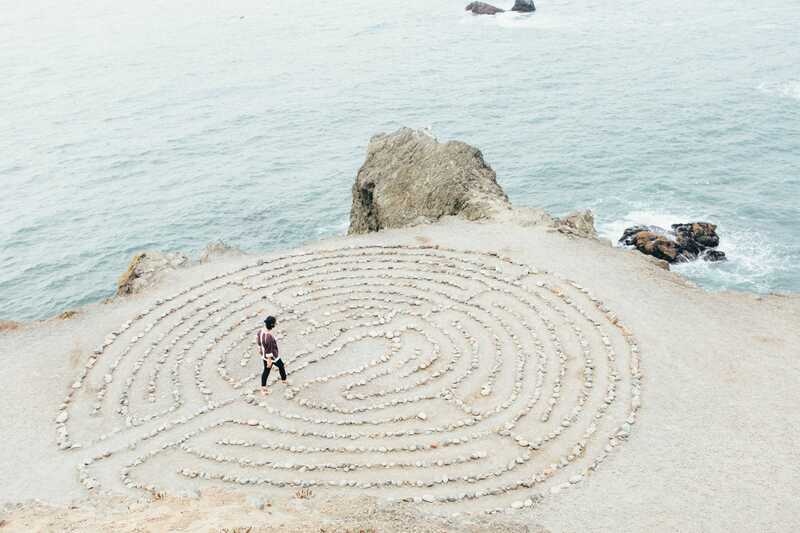 These are the crucial moments in the practice of the disciplines of mindfulness. It is at such moments that we can choose to direct our mindfulness once more to the focal point. All disciplines of mindfulness make use of this ability of the mind, this natural wakefulness. Then once mindfulness has been established, how do we practice the disciplines of insight? Is there a certain technique for training our discriminating awareness? The answer is typical of the disciplines of insight: the practice goes beyond every technique. Nonetheless, it is a very disciplined practice. How are we to conceive of this? As the disciplined practice of open-mindedness itself, by which we mean a mind that is free from being fixated on or lost in the contents of thought. Open-mindedness, which is the fruit of mindfulness, forms the basis for the disciplines of insight. This open-mindedness creates the space in which our discernment, our discriminating awareness, operates and can be active. This discernment allows us to see the world of phenomena from the vantage point of unconditional open-mindedness. It penetrates and clarifies our egocentric experience of reality. We begin to recognize our self-created experience of reality for what it is: an illusion. At the same time, it gives us insight into reality and allows us to experience its qualities, which are none other than the qualities of our fundamental humaneness. Gradually we discover that this open space is inhabitable, real and joyous, and not a spiritual myth or mystery. This gives rise to an enormous inspiration, one based not on hope but on experience. From an egocentric perspective this open space may appear groundless, deadly and lonely, but seen from its own perspective it is alive, clear and warm. It is the space from which our fundamental humanity can arise and flourish. It gives us insight into human existence, with all its shortcomings and suffering, and offers a perspective that makes us more caring, milder and wiser. Discovering this space and allowing it to embrace our experience is nothing other than the cultivation of the flourishing within.